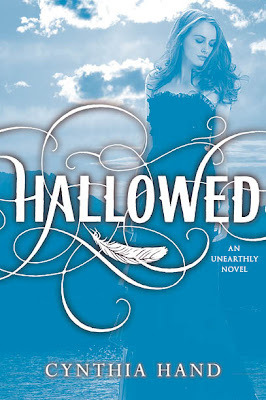 As a big fan of Tucker Unearthly, I am so excited for the sequel Hallowed, which will be released early next year. 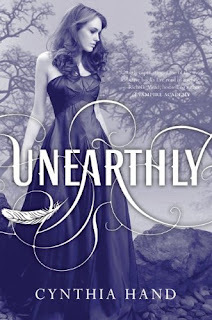 Cynthia Hand revealed the cover this morning, and I think it’s just lovely…the floating feather is a particularly nice touch. The cover will be all silvery and shiny, of course, so we’ll get the full effect next January. Can’t wait!